MLB Bans New York Mets Pitcher Jenrry Mejia For Life For Doping : The Two-Way The reliever is the first player to be banned permanently from Major League Baseball for failing three tests for performance-enhancing drugs. 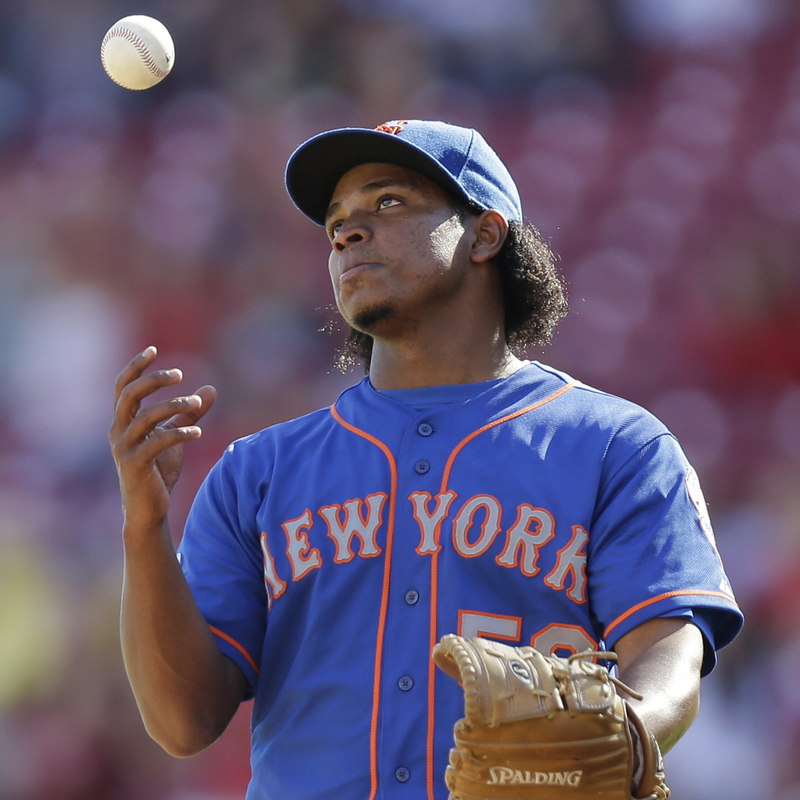 New York Mets relief pitcher Jenrry Mejia during a game against the Cincinnati Reds on Sept. 7, 2014. New York Mets reliever Jenrry Mejia received a permanent ban from Major League Baseball on Friday after he tested positive for the anabolic steroid Boldenone. The right-handed pitcher is the first player to be banned from the MLB for life for failing three performance-enhancing drug tests. "...a Player so suspended may apply, no earlier than one year following the imposition of the suspension, to the Commissioner for discretionary reinstatement after a minimum period of two (2) years." According to The Associated Press, a spokesman for Mejia's agents said the pitcher had no comment, and it is unclear whether the 26-year-old intends to apply for reinstatement in the future. In April 2015, the Mejia was banned for 50 games after testing positive for the anabolic steroid Stanozolol. At the time, Mejia said: "I know the rules are the rules and I will accept my punishment, but I can honestly say I have no idea how a banned substance ended up in my system." After serving the suspension, he returned in July 2015 but played in only seven games before testing positive for both Stanozolol and Boldenone. Mejia was banned for 162 games, which would have carried over into the 2016 season. From the Dominican Republic, Mejia was signed by the Mets in 2007 and reached the major leagues in 2010. He has a 3.68 career ERA in 18 starts and 95 relief appearances. NPR's Tom Goldman reports, "Many say baseball is in a post-steroids era, but Mejia, from the Dominican Republic, is one of a number of Latin American players, mostly minor leaguers, who've tested positive for banned drugs in recent years."